Happy Sew Grateful Week, my lovely readers! Today is the GIVEAWAY day, and I've got a little vintage number for you! It's an early 1960s pattern, in size 12/Bust 32. 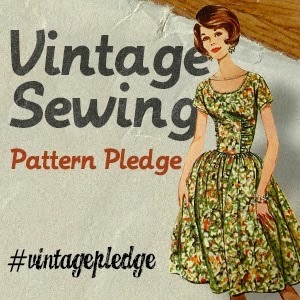 If you are participating in either the Vintage Sewing Pattern Pledge or Mad Men Challenge 3, or like me, both, then this could come in handy for you! I will run this giveaway till midnight (GMT) of this Sunday (2nd March) and will be happy to post to you worldwide! All you need to do is leave a comment below, and a winner will be chosen out of a hat, and announced on Monday! Yippee! It's finally that time of the year again! 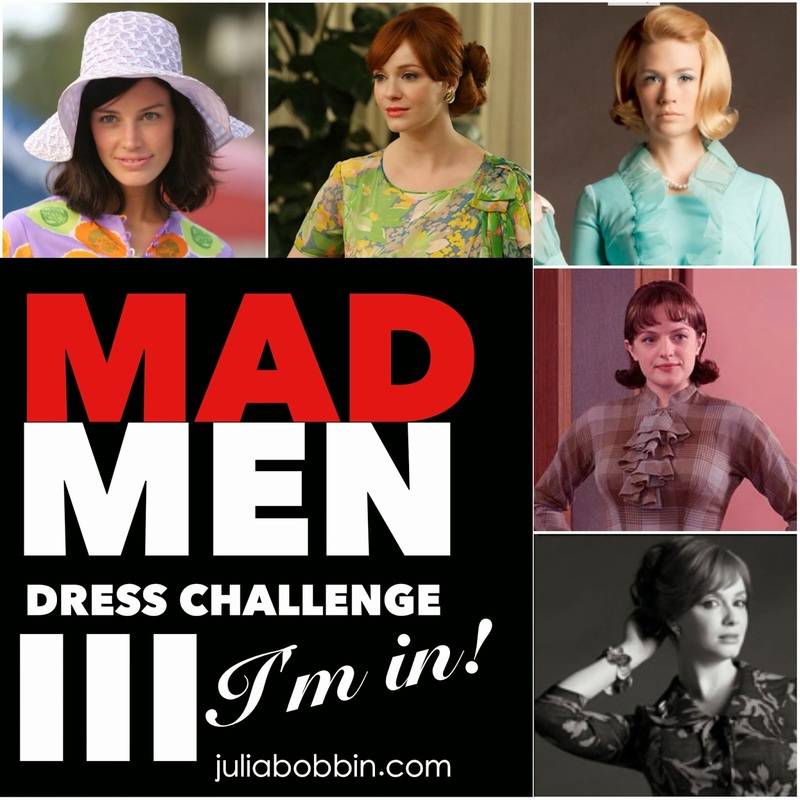 What else, it's the Mad Men challenge organised by the wonderfully talented Julia Bobbin. You might remember that I participated last year (see my entry here), and let me tell you, it was soooo much fun! If you have the time, and are a fan of Mad Men (who isn't? ), then it's time to join in! Do you also remember this summery little number? That was also Mad Men inspired! It was lovely to see Betty all fresh and summery, and also slim and confident again. 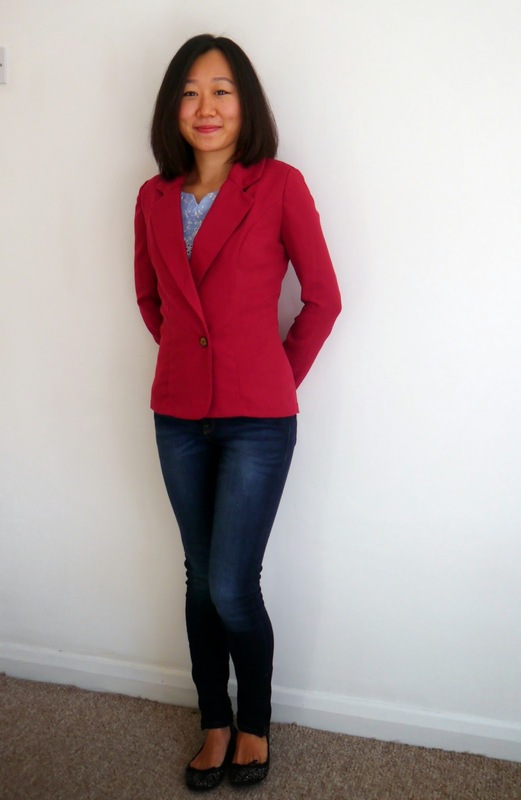 I like her "traditional" sense of style -- she is more of a 50s lady. And I just love Joan's purple two-piece, despite mistakenly thinking that it was a dress. The neckline is lovely, and I adore the cute bow details. I can't wait to get started! 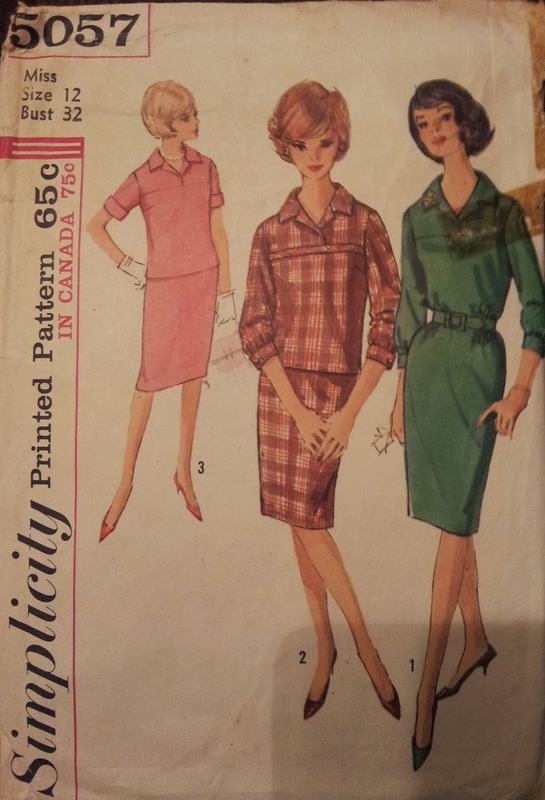 I think my vintage pattern Simplicity 3092 view 2 will be a lovely base pattern for Betty's top (with a few tweaks, mainly for the neckline). 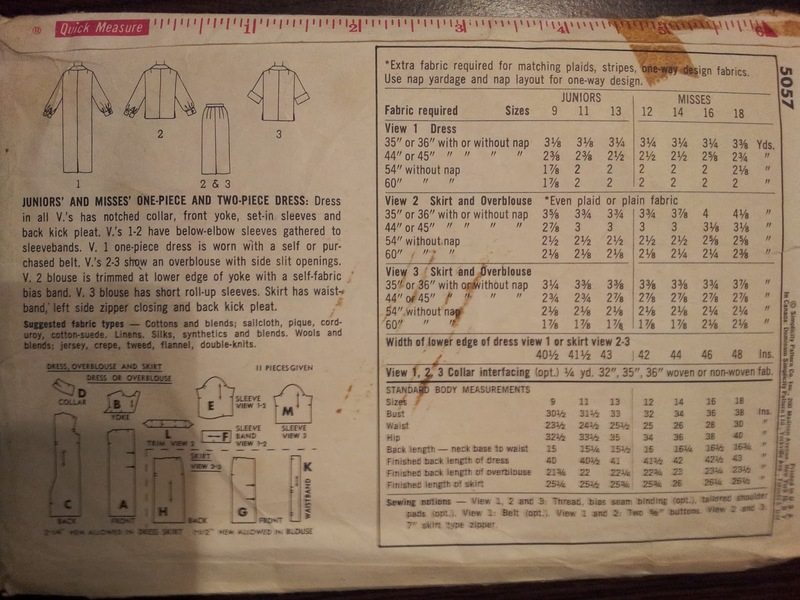 At this rate, I'll be flying through my Vintage pattern sewing pledge ;) I'm still looking for a pattern for the shorts, but think I may just attempt it too, if I have the time. 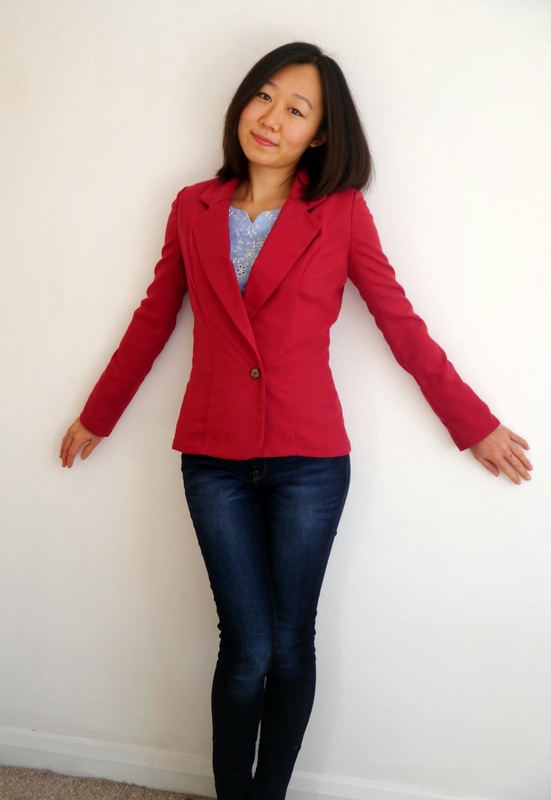 Update -- I have already tracked down 2 versions of Betty's lovely top in the sewing blogsphere! Here's Jane's version, and here's Ami's version. Aren't they both adorable? So, are you participating this year? I'm looking forward to seeing what everyone's planning on making, and of course the finished projects! It's my second Alma top! (See my first version here). This time I made View A, with a small piece of broderie anglaise which I picked up from a remnant bin for a mere £1! The whole project including the invisible zip came to no more than £2, and hence the name. I love a good bargain -- look how pleased i am with myself! The last step in the pattern called for thread belt loops, and I thought I would share that I used the wonderful tutorial here. It worked a treat! You might be able to tell in this photo just how delicate the fabric is -- it is super soft and with all the stitching and holes on it, I think I shall resort to hand washing this top as I really want this to last! I used a thin machine needle for this project, and have also reinforced the side seams with silk organza selvage before the zip is inserted. And finally with the belt. I actually think I like the top both with and without the belt. What do you think? So here we are, my second Alma top, and I have a feeling that it isn't going to be my last! 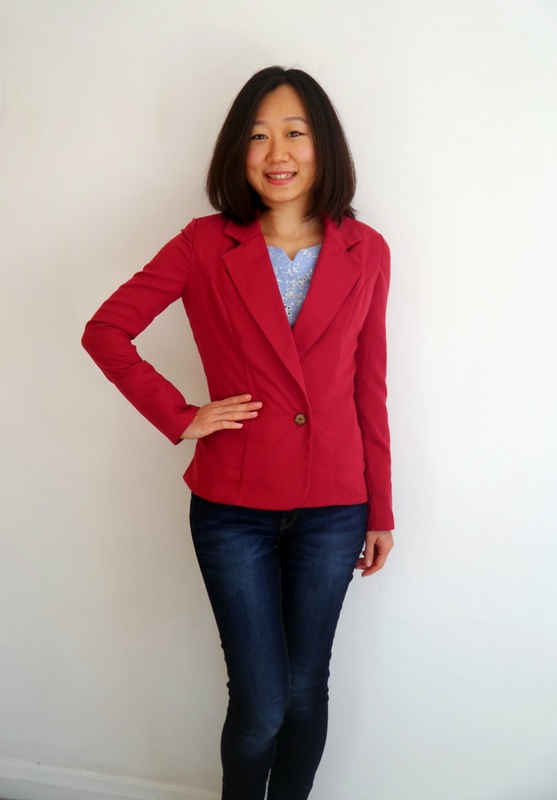 "In 2014, I, Alice Wang, will sew up at least three of my vintage sewing patterns". That's all well and good, but where on earth have you been? I hear you ask. Well, I'm pleased to say that a lot are changing in my life, for the better, of course. For starters, I'm starting a new job, and we are moving house for it! Selling up and trying to tie up loose ends have been stressful, and that's why I've taken a bit of a break from sewing and blogging, but I'm sure it will all be worth it in the end. Compared to the last time I shared the blackboard with you, there were only 3 projects that I haven't yet finished. Not bad going, right? I'm excited! I just LOVE vintage patterns. Yes, they are harder to fit, but they feel so special to work with. I can't wait to start. 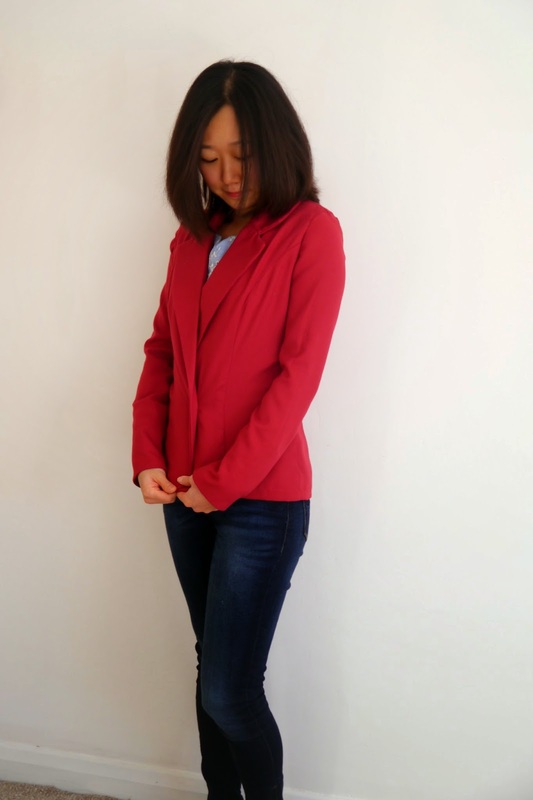 And to ease myself in, I'm pleased to say that I've already made myself a simple unlined jacket to introduce myself to the world of handmade jackets ("tailoring" to others). Once it's pressed and photographed, I will be sure to be back to share it with you. Until then, hope you are staying safe whatever the weather is where you are.